The bare bones of trust. Trust can be a sticky and complicated thing. Or, once examined, it seem deceptively simple. When I was younger, trust was a make-or-break thing. Others had to prove themselves to me in order for me to extend it to them. If my trust was shaken, I ran for the hills, stepping away from friendships and relationships because of what I perceived to be violations of trust. Now that I’m older, I recognize that there were times when I was untrustworthy myself. If we’re lucky, time plus experience gives us clearer vision. Where does our friend the horse fit into this “trust” thing? Many training techniques do a good job of working with the ways horses learn, and most involve gaining a horse’s trust. But I think we can mistake a lot of what horses do as reflections of their trust (or lack of trust) in us. Not that they are incapable of feeling trust or of being trustworthy—not at all! But on a day-to-day basis, I believe, horses are just looking to get along. They will do what they’re asked the best they know how in order to get through another day in, what must be to them, quite a wacky place. In other words, compliance is not the same as trust. 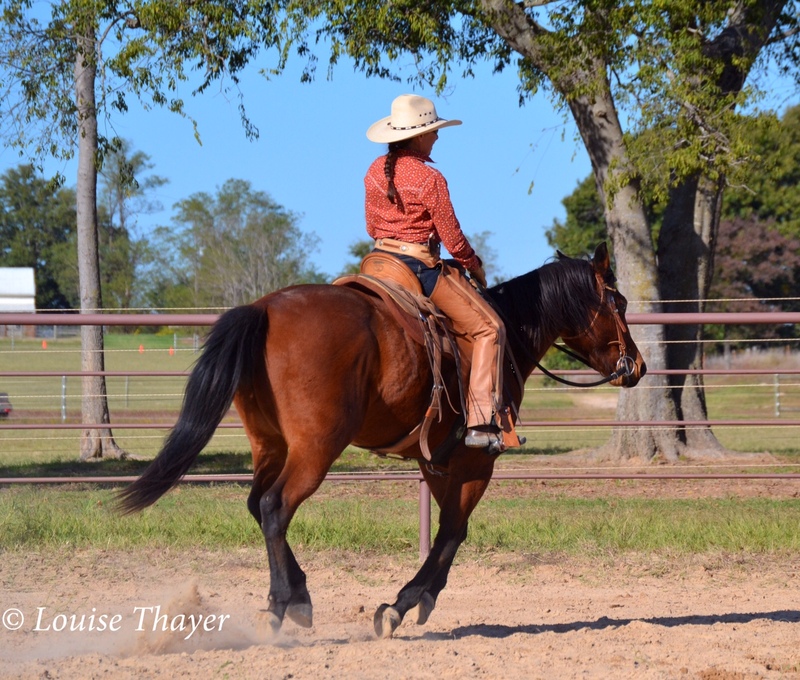 As a trainer and instructor who also gives clinics with my husband, I have the good fortune to be in a position to witness, experience, and feel some amazing breakthroughs between horses and their humans. I hear stories from many folks who have experienced things with their own horses that are powerful and beautiful and wild and unexplainable. I have similar stories as well. For the past decade or so, I have been working on learning how to trust myself. Trust is what I realized I was gaining in the years I trained in the martial art of Aikido. As my confidence in my ability to protect myself grew, so did the trust in myself. Aikido also taught me how to most effectively use my body in falls and rolls, which was a plus each time I came off a horse (rider error each time!). Trust also informs my work as an instructor. I trust that I will be able to help a horse and his or her person so that at the very least, they feel better. I trust myself to handle a myriad of situations. I also trust myself to communicate effectively so that what I’m trying to share gets across. I don’t get it right all the time, but a foundation of trusting myself to handle most things has brought an internal peace of mind. The crux of all of this is that unless you trust yourself—who you are, what you do, the choices you make, and how you shape your life—you cannot truly trust anyone else (human or horse included). Humans and horses are, after all, going to be and do and say and act in ways unpredictable. However, when we trust ourselves, what others do or say doesn’t have the traction it used to. As I work on increasing my self-trust, my requirement that others show up as absolutely trustworthy (which I now know means predictable) has softened. I don’t believe that we can ever fully, truly, empirically know what is going on inside of another being—human, horse, sparrow, or jellyfish. We can make educated guesses based on patterns of behavior (or in our own species’ case, dialogue), and we can feel things energetically, a kind of “knowing but not knowing how you know.” But absolutely, positively know? Probably not. Asking and having a horse trust us is one of the holy grails of horsemanship for good reason: they’re very large animals with one of the fastest reaction times on the planet. They’re also powerful and can move in several directions—sometimes simultaneously, it seems. So a trusting horse is usually a calmer horse and by definition, a safer horse to ride and be around. Sometimes though, in our pursuit of that holy grail, I think we get into a bit of a rut. We measure ourselves (and certainly our horses) by how trusting they are, or are not. It becomes this nagging worry: does my horse trust me? 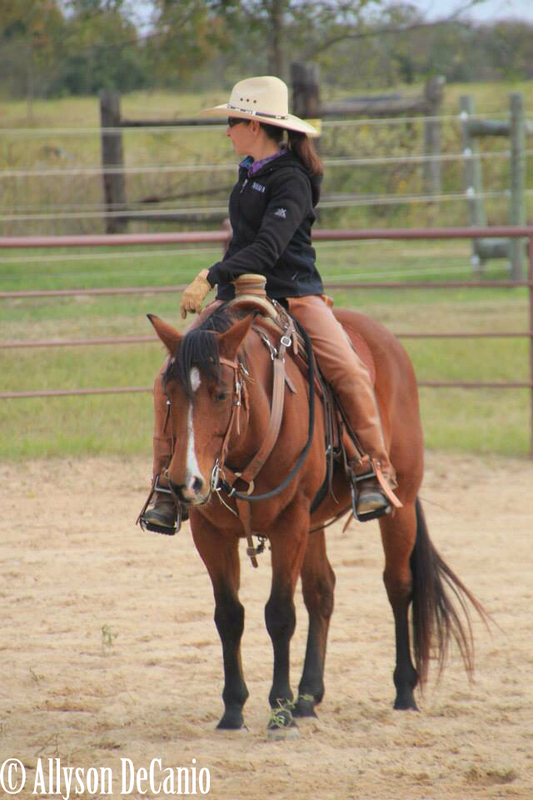 How can I get my horse to trust me more? What do I need to do, who do I need to see, how do I need to ride, how can I better take care of them? You get the idea. Pretty soon, it can spin off into wild places – places that bog us down and then where do we go, once we are at a standstill? As humans, we are incredibly focused on exteriors. It’s only when we take time to examine what lives inside us that we perhaps find gaps in our own trust of ourselves. It’s understandable that gaining a horse’s trust can be an affirmation, a way to bridge a gap we may have in trusting ourselves. Who hasn’t felt better because a horse first gave something to us, and then felt better again when we gave something back? When we are around a horse who trusts us (and whom we trust), there is a palpable sense of heart expansion. Of feeling that all is well. Even if the rest of our lives are crumbling around our boots, being in the presence of a beloved horse (well, for us folks of the horsey persuasion, just about any horse) can reassure us and give us a place to feel the ground under our feet and a renewed sense of strength. But even this good stuff can create a place where pressure can build. We put pressure on ourselves to achieve that goal, and we inadvertently put pressure on the horse to start trusting. It may be a subtle or quiet pressure, but it’s still pressure. If we strive to establish trust, if it’s our main focus, we sometimes not only miss a bunch of good stuff the horse may offer, but also, may mistake compliance, dissociation, or lack of movement for trust. Then, when things go haywire—or as my UK friends like to say, “pear-shaped”—we’re at a loss as to what happened. Here’s the bare bones of it, from my perspective. I’ve found that if I focus on how I can more fully trust myself, whether my horse trusts me or not becomes less of an urgent issue. This, in turn, drops the pressure across the board. I would like my horse to feel good about what we’re doing. I’d like her to understand it fully. I’d like her to be physically and mentally comfortable. But whether she trusts me or not is, after all, not up to me. That’s a state each horse (or human) must come to themselves. Whether it’s self-achieved or granted to us by our horse, trust is a way of going through our lives. It can’t be forced. And the guardianship of the trust with which the horse gifts us (just as the guardianship of trust in ourselves) is a daily practice. One of my fundamental operating principles is that if the horse feels good about our interactions, then so do I. I will spend the rest of my days finding out how to present and teach so that I least interfere with a horse’s capacity to feel good—quieter, more at peace, and less worried about life in general. This reflection on Trust came along at just the right time. I guess I have to say it is something that I also, have struggled with. “Getting” my horse to trust me has proven elusive at best. And again, I realize that it is not about my horse, but about me. Thank you for shedding more light on the concept of trust between human and horse, or even human and human, for that matter. As I continue to find myself, understand myself, strengthen myself, and feel free to focus on what I want and need, the relationship will happen, and trust will grow. Thank you for sharing these thoughts. I love every word you have said and I think my 3 mares ail to. Yes I do need to trust my self a lot more. Hi Helen – trust is one of those things feels multilayered to me. I don’t by any means have all the answers because there are certainly places I could trust myself more. I do know that if you find something bite size to start trusting yourself with, it grows and stretches. Aikido was not bite size – more like being thrown into the deep end! But, it came with such huge payoffs so quickly it was counterbalanced by a lot of good things. These days I’m back to bite size: I trust that I can keep myself safe while leading most any horse. I trust my driving. I trust that most days I’m a kind and positive person. I hope his helps a bit, and thank you for taking the time to read my mental meanderings. Another “just what I needed to read” moment. Thank you Crissi! You’re most welcome, Andrea. Thank you for taking the time to read and ponder! Trust is something I have been building with a horse I am working with- really enjoyed the insights in this post. Learning to let go of my own trepidation and trust myself has had positive results on my horse. Thank you so much. Just what I needed to hear. Thank you, Crissi! I enjoyed your perspective. Trusting ourselves and/or our horses releases fear. Interesting that this comes to me today. I have been struggling with a personal challenge with a loved one that is leaving me wondering if I can trust the things I “thought” I knew, as well as trusting how “much” I could stand for what I know. (not sure if that makes sense?) But with that said, in spending time with my little bay Paso Ace, I found him “wandering” and almost back stepping in the areas that we have grown so much. It began to discourage me. It was a cold dark night and I had gone to the barn by myself to find my happy place with him but there was a disconnect. I chose to do some body work instead and put him away feeling satisfied and grateful for our time together but frustrated with the results of our riding time. As I searched within myself I determined that perhaps I had bought into ideas and struggles because I didn’t trust myself and the work I know I can do with him? I became almost distracted by the disconnect and the more doubt set in the worse things seemed to be. The next night I determined to slowly and quietly approach our time together with a confidence and focus of the things I do know to be true and right and easy for both of us. The funny thing is, we were floating through the excursuses as if we had been doing them forever! But I did indeed trust the truths I know and he almost immediately bought into everything with great focus and effort. And with that said, I had that “palpable heart expansio” as you described it Crissi, and I can’t be sure, but I think he may have also!? (so I am not a writing and often refrain from forums for this reason, but I hope this makes sense to someone?) thank you for letting me share and thank you for your beautiful thoughts. I am so there! It makes perfect sense to me, and thank you for replying in a public place (oddly enough, I, too grow nervous in them. By knowing my own boundaries and what I will and won’t engage in, however, it brings some lessening of that nervousness). I absolutely understand what you are saying. I think sometimes there are just going to be those kind of days where everything feels a bit off kilter. You want to hear something else that is odd? When I posted this Blog I was pretty nervous. I wasn’t sure I had really captured what I wanted to say. When I’m nervous like that, I try to do things to get myself not nervous – breathing, walking, drinking tea, etc. What I did this time though, was tell myself it’s ok to be nervous and for that to go on as long as it needed to, to run it’s course. By the end of the day I was calmer. Sometimes I think if we internally embrace those things that are difficult and we want to fix or hide or run away from, just the acknowledgement of what it is takes away the charge. If you haven’t already, read Pema Chodron’s book “What to do when things are falling apart.” It has more of this kind of thinking in it. Thank you, Jackie, for writing and sharing a vulnerable spot. You’re brilliant, and I completely believe in you and your abilities! omg!! that was full of typos!! Sorry!! will do better next time! What I realised about trust recently is how much of a two-way street it is. It’s easy to ask a horse to trust us when we don’t really trust them yet, but of course, why would they? Trust can be so much like a dance. I am lucky to have this dance with a huge love of a draft horse. But struggling to find trust with my newest horse. I see moments of trust-fleeting at best. I guess continuing to show her “a good deal” will eventually open to the door to trust. Thankfully I’m pretty comfortable with life so I hope that helps. Thank you Crissi for writing this tonight. It arrived quite timely.